Architecture. Archaeology. Atypical. Air conditioned. Awesome. These are by no means the only words I associate with the dig at the Tovar House in downtown St. Augustine. That list of 5 words, however, offers the perfect peek into this project. Our outdoor office for the first week and a half. The Tovar House, with its red shutters, rests on the right side of the picture. The Day of Archaeology fell on the last day of the Tovar House dig, which is partially why my post appeared two days later. Excavation projects are fun and enlightening, but these projects also tax the brain and the body. Like any other profession, this girl needed time to recover. Architecture guided the initial research questions asked about the Tovar House. Maps created in the 1764 and 1788 suggest that the house existed, but offered no date for its construction. Dr. Herschel Shepard, an architectural historian, recently spent hours upon hours studying, assessing, and recording the house. His examination provided hypotheses about the house, as well as research questions. Enter the archaeologists! By digging on the exterior of the house, and by exposing the foundation, Dr. Kathy Deagan and the archaeology team aimed to determine when the house was built and to see when/if/how the Spanish and/or British modified the house. Architecture. Archaeology. Atypical. Rarely do purely architectural questions guide archaeological investigation. A team of three spent 15 days in the field. We dug two units, screened layers of dirt, took 22 photos, drew 12 maps, mapped 7 profiles, filled three Banker’s Boxes with artifacts and architectural samples, and started to analyze these materials. Greg Smith spraying the trash-stuffed shell footer before taking the official photo. Our second unit led us into the air conditioning. This is also atypical in archaeology. Often, we endure the extreme of weather — heat, cold, rain, wind. The St. Augustine Historical Society, however, manages and maintains the Tovar House. Fortunately for the team of three, this meant that our indoor dig was also an air conditioned dig. This, along with the information we unearthed and interpreted, was awesome. Indoor archaeology, a dream come true! On the last day of the project, Greg and I finished our last profiles. The wall profiles reveal things about the dirt that archaeologists cannot necessarily see while digging in levels. (There’s a horizonal-versus-vertical dynamic there). By flattening the unit walls, we recognized one new feature and could better envision how the Spanish and/or British built, and built onto, the Tovar House. To the west you could walk through a doorway, above a shell footer, and two posts that possibly predate the house. By day’s end, we completed profile maps and other paperwork that described the soil, the way we excavated the soil, which areas of the soil are associated with which artifacts, photographs, and maps. Profiles and paperwork were capped off with a celebratory, congratulatory you-completed-this-project pizza party! An architectural historian and archaeologists — perhaps the atypical team — enjoying pizza in air conditioning. It was awesome. Archaeologists from the South Carolina Department of Natural Resources (DNR) Heritage Trust Program hosted a film screening of the Fort Frederick Heritage Preserve documentary film series in Columbia, SC, USA for the 2015 Day of Archaeology. Also in attendance were archaeologists who worked with DNR from the South Carolina Institute of Archaeology and Anthropology (SCIAA) and the South Carolina Archaeology Public Outreach Division (SCAPOD). Archaeologist Sean Taylor (left) answers questions at the screening of the Fort Frederick Heritage Preserve documentary film series. The film series documents archaeological excavations, tabby restoration, and public tours that took place at Fort Frederick Heritage Preserve during the winter of 2014-2015. The films and supplemental educational resources (lesson plans and vocabulary list) are available for free on the films web page and HD film versions are available through the filmmaker’s website and Vimeo. SCIAA archaeologists have cataloged over 12,650 artifacts excavated from the site during the winter of 2014-2015, and the number continues to grow daily as more artifacts are analyzed. Funding for the film series was provided by the DNR Heritage Trust Program, and grants received from the Harry Hampton Memorial Wildlife Fund and The Humanities Council SC. A survey is provided to gain feedback from viewers. Tabby restoration expert, Rick Wightman fills molds with recently mixed tabby at Fort Frederick Heritage Preserve while filmmaker Jamie Koelker documents the process. The Fort Frederick Heritage Preserve is a 3-acre property owned by the DNR and located in Port Royal, Beaufort County, SC, USA. Situated along the Beaufort River, the preserve contains the remains of a tabby fort built by the British between 1730 and 1734 to defend against possible attacks from the Spanish at St. Augustine, Florida. The preserve acquisition was made possible by a donation of the site from the National Park Service’s Federal-Lands-to-Parks Program and funds from the DNR’s Heritage Trust Fund. South Carolina Department of Natural Resources Heritage Trust Archaeologist Sean Taylor (left) shows artifacts to visitors at Fort Frederick Heritage Preserve. The fort, also known as Fort Prince Frederick, is thought to be the oldest tabby structure in South Carolina and possibly the oldest tabby fort in the Southeastern United States. Provincial scout boats were stationed here periodically. A relatively small fort, it measures 125 feet by 75 feet with an obvious bastion on the southwest side. The eastern wall was lined with a battery and cannon. 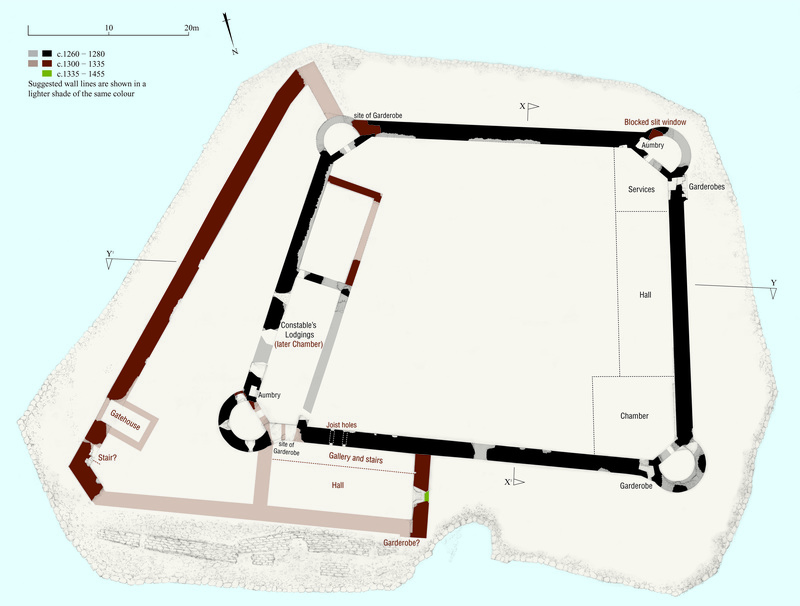 The interior of the fort held a barracks and a magazine, and was garrisoned by an independent Company of Foot British Regulars until their transfer to Georgia in 1736. Nineteenth century artifacts excavated from the Smith’s Plantation component of the Fort Frederick Heritage Preserve. A digging team has uncovered the remains of a building which is over 4000 years old. It’s been found on the vast Neolithic landscape of Marden Henge situated within the Vale of Pewsey, Wiltshire. The University of Reading Archaeology Department have been carrying out the excavations in collaboration with Historic England, the Arts & Humanities Research Council and the Wiltshire Museum. Subscribe to our channel and follow us on Twitter (@DiggingDiaries) to keep up to date with all the new exciting digs and dives happening all over Britain this summer. Happy Digging from all the team! I like to consider myself as a Heritage Management Consultant and sometimes even a Museum Designer. This morning for work (of course) I visited the Royal Museum which was just opened today by the National Museum of Scotland. The museum has been closed for about 3 years now and has been undergoing a £47 million renovation and reinterpretation. The important thing to say is that my firm Jura Consultants helped them with their redevelopment master-plan and supported them in their HLF bid for funding. Most projects that we’re involved in take quite a bit of time to come to fruition so it’s amazing to be able to see the designs you saw on paper become reality and experience the fruits of your labour. And what a fantastic experience it is! There were thousands of people lining Chambers Street at 9am waiting for the doors to open. We had an animatronic T Rex, tribal drummers, aerial dancers abseiling from the roof, and fireworks. A great atmosphere indeed. The entrance has now been diverted from the main staircase to two street level entrances that lead into the undercroft. Here is a really spectacular and dramatic space. Once used for storage, the space has been converted into a visitor reception area that includes and information desk, cloak room, gift shop, toilets and a new Brasserie. From the dimly lit space, you then ascend into the light-filled Grand Gallery that seems almost like a birdcage with all the iron work. This is meant to be a ‘cabinet of curiosities’ that entices visitors with an array of different and wondrous objects. Beyond this space is an escalator that takes you up to the very top floor, allowing visitors to work their way down. This is an interesting feature and an important one as previous research found that only 5% of visitors made it beyond the ground floor. The other controversial move was to put the museum café on the first floor. But I think it’s one of those things that if you build it they will come. It was quite clear that the animal gallery was the most popular. Jammed packed with people, prams and exotic animals. The incorporation of video screens with hanging oceanic creatures is quite something to behold. Other galleries include world cultures, design, nature inspired objects, Egyptians, sculpture, and decorative objects. I think the one thing that stands out is the lighting. It certainly adds to the atmosphere and creates distinctly different experiential areas. The colour scheme works really well too, using jewel tones to delineate thematic areas. I think though, my favourite thing about today was observing the other patrons around me. One little boy asked why fish die, referring to a display in the animal galleries relating to environmental issues such as pollution, poaching etc. His mother responded with ‘because some people don’t recycle’. Another woman remarked about her disappointment with the Egyptians. ‘Liverpool has a mummy but there’s no mummy here.’ The same goes for the way people begin to use the space. We weren’t in the door 5 minutes and there were already people lined up for the café. There was a pram car park that started in one corner and people were sitting on display plinths and touching objects (hopefully this was the intention). I think what it reflects is that visitors are comfortable in the space, are able to read the space properly and that the museum has been a catalyst for conversation. A truly great morning! I encourage everyone to make a trip themselves. In this video, Steven Wallace Field Photographer at RCAHMS explains how his work in the field is only just the beginning and the processes involved in making the images accessible by the public. 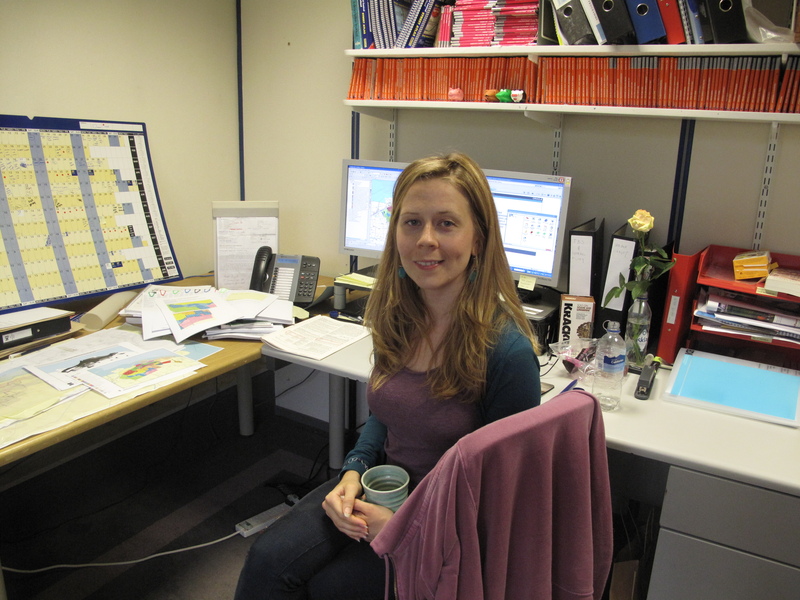 My name is Susan Dibdin and I am on the IfA bursary in Building Recording at RCAHMS for 12 months. I’m actually about 9 months through my placement now. For the first 6 months of my placement I was working on the Threatened Building programme and through that I visited a lot of different threatened buildings throughout Scotland. We do desk-based research before visiting a site, and during field work make a decision on what should be recorded and which way if best to do to – whether it’s by photographic survey or a graphical survey. I’ve moved onto the Urban Survey program, and I’m currently working on an urban characterisation study of Bo’ness. 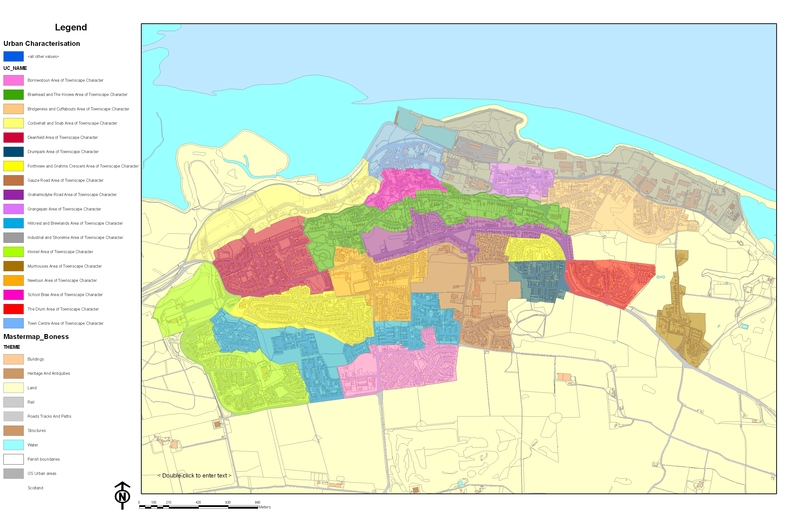 This involves sorting the town into different character areas based on historical development and topography as well as current day characteristics. 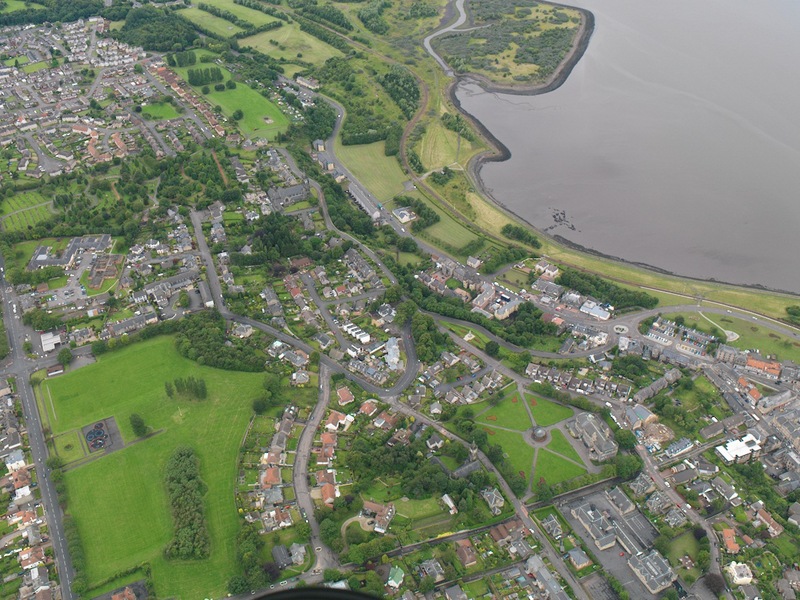 As part of the Urban Survey we’ll also update the Canmore record with new photography of Bo’ness – streetscapes as well as individual buildings. That’s actually what I’ve been doing today – I’ve put through 25 requisitions for individual building photography and I’ve also requisitioned general street views of the 18 character areas. That means that our professional photographers will know where to take the photographs! Once the photographs have been taken and processed they’ll go into Canmore and I’ll work on captioning these. Today I also received a batch of aerial photographs from the photographers, which help to illustrate the street patterns etc. These will also form part of the characterisation study report to explain the character of the different areas of Bo’ness and how the towns developed over the centuries. 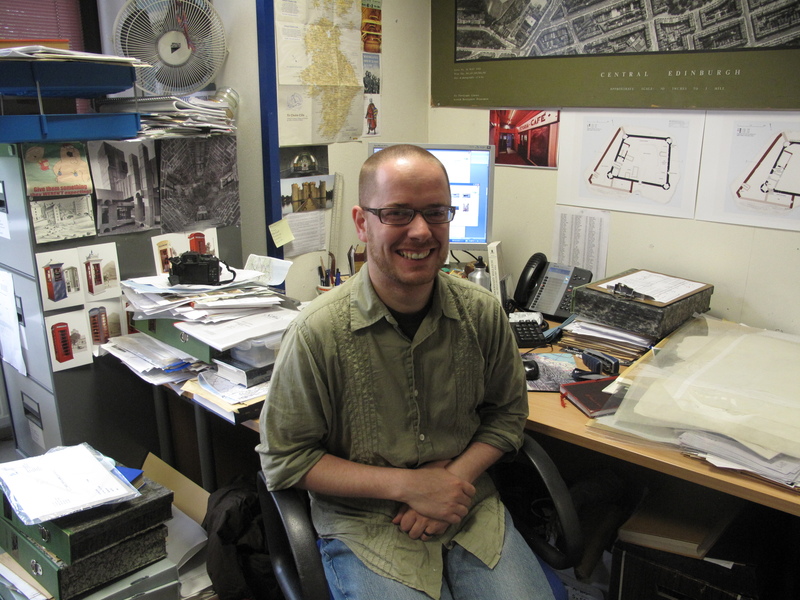 Hello I am Iain Anderson and I am the Threatened Building Survey Project Manager at RCAHMS. 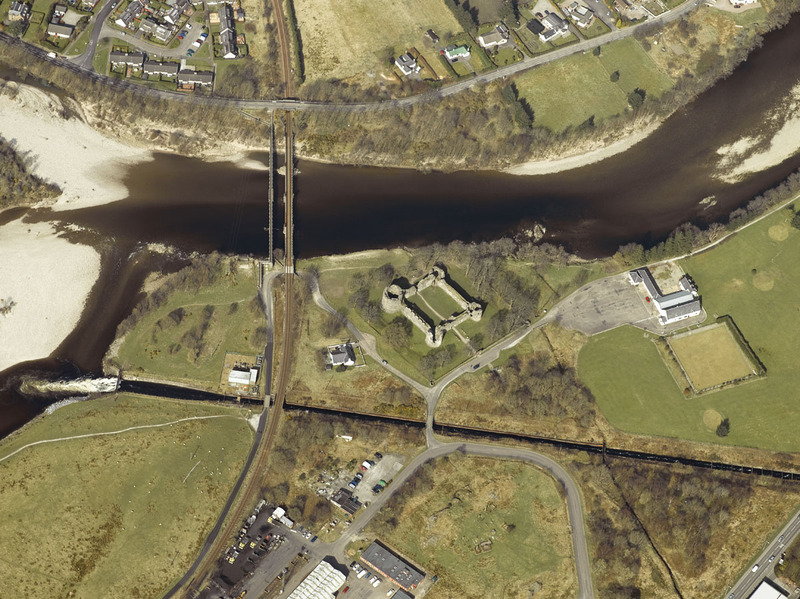 At the moment I am writing up an article for the Architectural Heritage Society Journal which is a comparative study of the recent RCAHMS survey work done at Lochindorb Castle and a much earlier 1982 survey which RCAHMS carried out at Inverlochy Castle in Fort William. 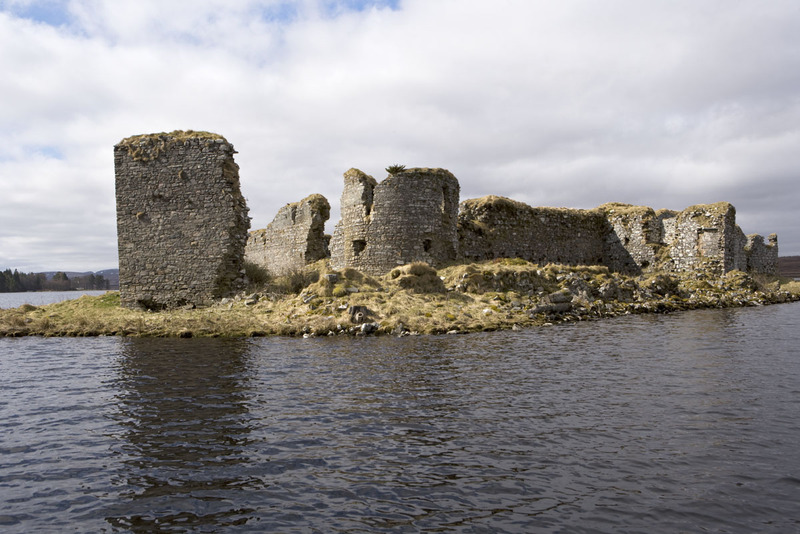 We’d never had the chance to undertake such a detailed survey before, because Lochindorb Castle is on an island in the middle of a loch in the Highlands. Both sites are 13th century enclosure castles built by the same people. 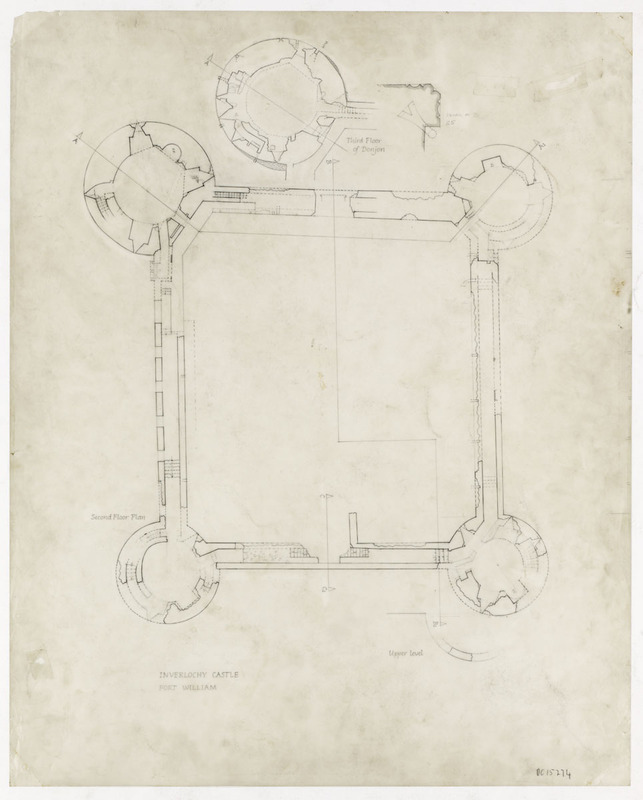 The article is investigating the similaries and the differences between the two sites, how the slightly different forms of courtyard and round tower have changed the way that the castles functioned and what these can show about the importance and sophistication of each castle. 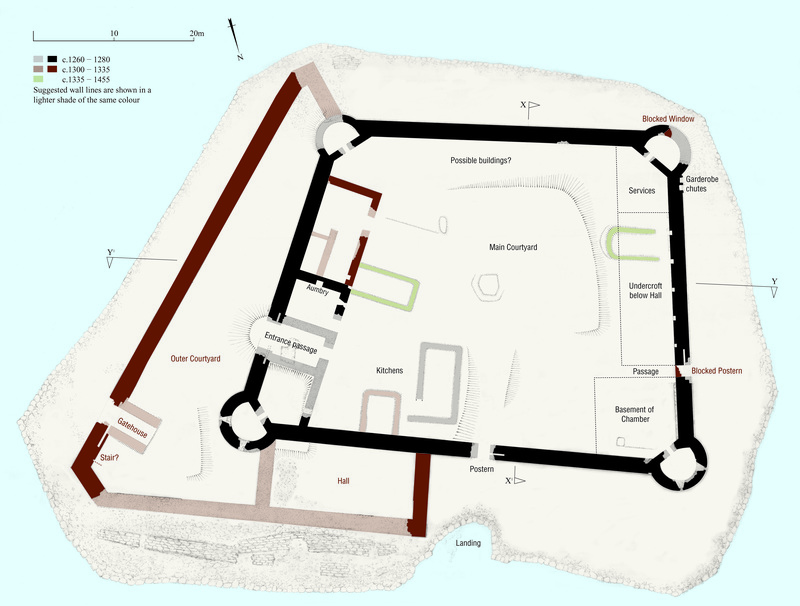 Examples of the recent survey work carried out by RCAHMS at Lochindorb showing the floor plans. And an example of the earlier survey at Inverlochy Castle.